No matter where you are in the U.S., ParkMobile can help you park smarter. Find your nearest ParkMobile zone number to pay for on-street parking in Far Rockaway Park now! Get the app for iOS or Android. Need to park around Far Rockaway Park? Make sure you have the ParkMobile app downloaded to your phone. Then sign in to your account and type in your zone number. You can find your ParkMobile zone number located on green signage in the parking lot or on decals on the meter. Or, click on the appropriate zone number on the app's interactive parking map. Your zone number is critical! You can't start a parking session correctly without it. You must identify your ParkMobile zone number on the green ParkMobile signs located in your on-street parking area. Use an incorrect zone number and local parking enforcement might end up giving you a ticket, because they won't be able to tell that you've already paid. Don't forget that you can't change zones or move spaces once your parking session starts. Parking zone numbers vary from city to city, so don't assume that one zone has the same number as another. Find Far Rockaway Park Zone Parking Near You Now! If you're still circling the block looking for easy Far Rockaway Park parking, you're stuck in the Stone Age! Now that you know how fast and easy ParkMobile's on-street zone parking can be, it's time to give it a try on your next drive! Let ParkMobile be your go-to guide for Far Rockaway Park parking. 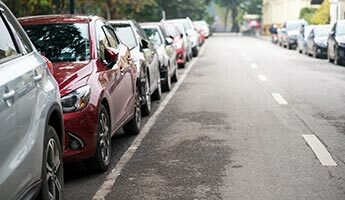 With more than a million parking spaces in thousands of locations in the U.S., we can connect you with affordable and fast parking near most of Far Rockaway Park's hot attractions, including busy airports, sports stadiums, amphitheaters, colleges and universities, and more! Download ParkMobile's app, enter your nearby zone number, and get a running start wherever you're headed – courthouse, concert, museum, baseball game, beach, or festival. It's never been easier to find and pay for parking in Far Rockaway Park. With ParkMobile's pay by phone parking solution, your future holds plenty of empty, easy to find parking spots!